In this study, the classical analog of single and dual-band electromagnetically induced transparency is demonstrated with a four-fold symmetric metamaterial consisting of a Minkowski fractal ring resonator surrounded by a square ring resonator. The proposed metamaterials show high transmission ratios at the polarization independent resonances, as confirmed by the applied two different numerical methods. Delay-bandwidth products are found to be 0.34 and 0.61 at the resonances of the dual-band metamaterial. The peak frequencies and transmission ratios maintain also for oblique angle of incidences. These features of the proposed metamaterials are promising for single and multi-band filtering applications as well as for slow light and sensing devices. D. R. Smith, J. B. Pendry, M. C. K. Wiltshire, Metamaterials and negative refractive index, Science 305(5685): 788−792, 2004. K. Aydin, I. Bulu, E. Ozbay, Subwavelength resolution with a negative-index metamaterial superlens, Appl. Phys. Lett. 90: 254102, 2007. N. I. Landy, S. Sajuyigbe, J. J. Mock, D. R. Smith, W. J. Padilla, Perfect metamaterial absorber, Phys. Rev. Lett. 100: 207402, 2008. N. Papasimakis, V. A. Fedotov, N. I. Zheludev, S. L. Prosvirnin, Metamaterial analog of electromagnetically induced transparency, Phys. Rev. Lett. 101: 253903, 2008. S. E. Harris, Electromagnetically induced transparency, Phys. Today 50(7): 36−42, 1997. C. Kurter, P. Tassin, L. Zhang, T. Koschny, A. P. Zhuravel, A. V. Ustinov, S. M. Anlage, C. M. Soukoulis, Classical analogue of electromagnetically induced transparency with a metal-superconductor hybrid metamaterial, Phys. Rev. Lett. 107:043901, 2011. Z. Vafapour, H. Alaei, Achieving a high Q-factor and tunable slow-light via classical electromagnetically induced transparency (CI-EIT) in metamaterials, Plasmonics 12: 479−488, 2017. Z. G. Dong, H. Liu, J. X. Cao, T. Li, S. M. Wang, S. N. Zhu, X. Zhang, Enhanced sensing performance by the plasmonic analog of electromagnetically induced transparency in active metamaterials, Appl. Phys. Lett. 97: 114101, 2010. P. Tassin, L. Zhang, Th. Koschny, E. N. Economou, C. M. Soukoulis, Planar designs for electromagnetically induced transparency in metamaterials, Opt. Express 17(7): 5595−5605, 2009. X. J. Liu, J. Q. Gu, R. Singh, Y. F. Ma, J. Zhu, Z. Tian, M. X. He, J. G. Han, W. L. Zhang, Electromagnetically induced transparency in terahertz plasmonic metamaterials via dual excitation pathways of the dark mode, Appl. Phys. Lett. 100: 131101, 2012. F.-Y. Meng, Q. Wu, D. Erni, K. Wu, and J.-C. Lee, Polarization-independent metamaterial analog of electromagnetically induced transparency for a refractive-index-based sensor, IEEE Trans. Microwave Theory Tech. 60(10): 3013–3022, 2012. 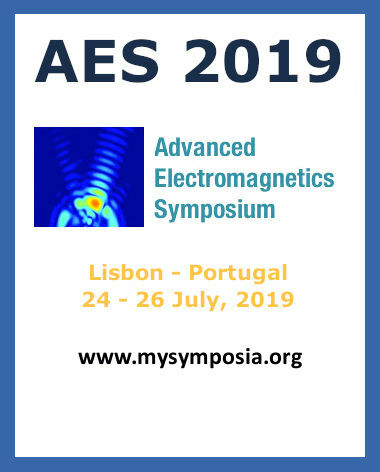 W. Wang, L. Zhang, K. Fang, Y. Zhang, Experimental study of EIT-Like phenomenon in a metamaterial plasma waveguide, AEM 1(3): 61 – 63, 2012. F. Bagci, B. Akaoglu, A polarization independent electromagnetically induced transparency-like metamaterial with large group delay and delay-bandwidth product, J. Appl. Phys. 123: 173101, 2018. 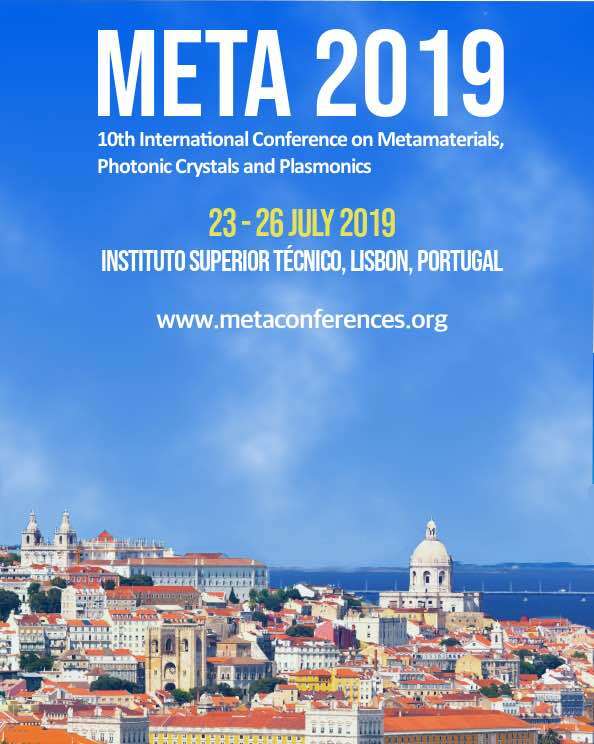 M. P. Hokmabadi, J.-H. Kim, E. Rivera, P. Kung, and S. M. Kim, Impact of substrate and bright resonances on group velocity in metamaterial without dark resonator, Sci. Rep. 5: 14373, 2015. X. R. Jin, J. Park, H. Zheng, S. Lee, Y. Lee, J. Y. Rhee, K. W. Kim, H. S. Cheong, and W. H. Jang, Highly dispersive transparency at optical frequencies in planar metamaterials based on two-bright-mode coupling, Opt. Express 19(22): 21652–21657, 2011. L. Zhang, P. Tassin, T. Koschny, C. Kurter, S. M. Anlage, C. M. Soukoulis, Large group delay in a microwave metamaterial analogue of electromagnetically induced transparency, Appl. Phys. Lett. 97: 241904, 2010. H. Li, S. Liu, S. Liu, S. Wang, H. Zhang, B. Bian, X.-K. Kong, Electromagnetically induced transparency with large delay-bandwidth product induced by magnetic resonance near field coupling to electric resonance, Appl. Phys. Lett. 106: 114101, 2015.